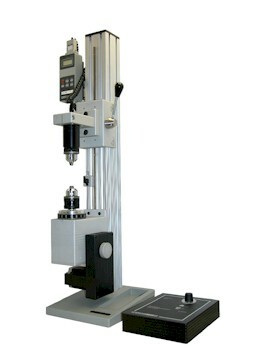 The Mark 10 TSTM Motorized Torque Measurement Test Stand is ideal for a wide variety of torque testing applications up to 100 lbin, including closure torque testing, fastener torque testing, and more. 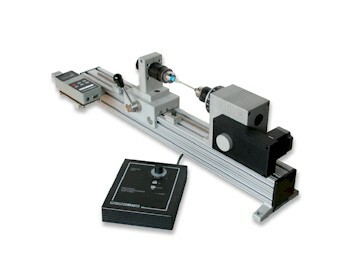 Motorized clockwise and counterclockwise rotation allows for highly precise and repeatable tests. Versatile modular design allows the stand to be configured for a variety of torque sensors and gripping fixtures while a lever-operated slider with travel stops makes engaging and disengaging samples quick and efficient.